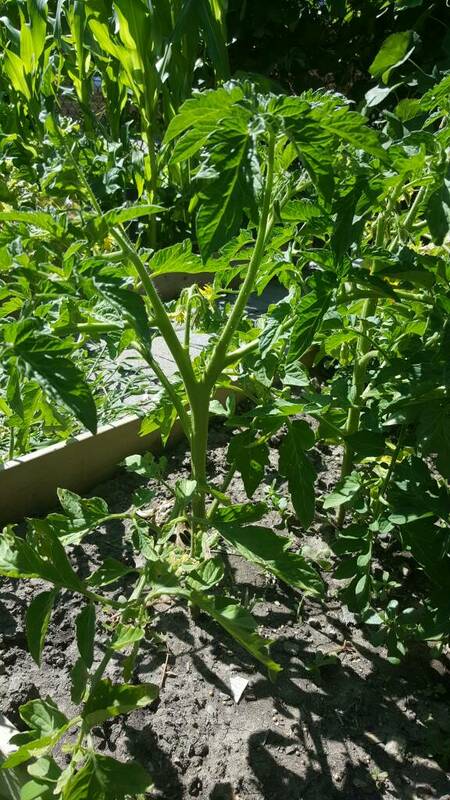 How do you prune your Tomato plants? 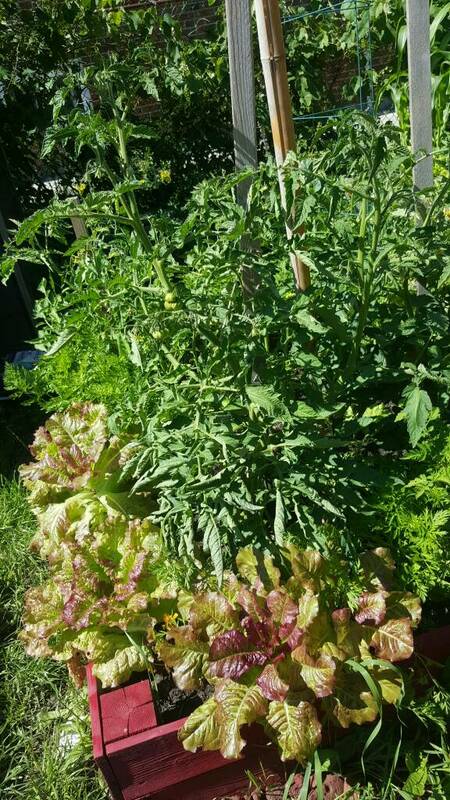 In general I cut the tops of the plants in mid August to allow them to focus on the tomatoes. Wow that's a jungle!! .. Mine are definitely not as tall..last yr I was too distracted to prune my tomatoes.. And they grew like a thick jungle.. This year I'm trying to keep up with removing thieves, so I have one main branch... And some have spit into two at the top.. I used the thieves to make some new plants handed some out to family.. And planted a few back in my garden.. As of yet I've only removed leaves that were turning yellow at the bottom... Maybe I should remove some from all of them? Here's what mine look like as of right now... A jungle as well.. Lol.. But not as tall.. Maybe it's the varieties? The one plant I started in November has already started to produce tomatoes... The ones I started in April are starting to flower..
Prune or not to prune that is the question, I have tried none at all and minor cuts and snips..
Leaves r needed to protect the tomatoes. No need to prune, only remove bottom leaves when first planted. I kid you not, this year has been ghastly on all plants but tomatoes have had it... We have endured 100-108 already with the temps mostly staying just under or over 100f. Blossoms have dropped, and havoc reigned in the beds.. BUT my harvest has been rather prolific.. 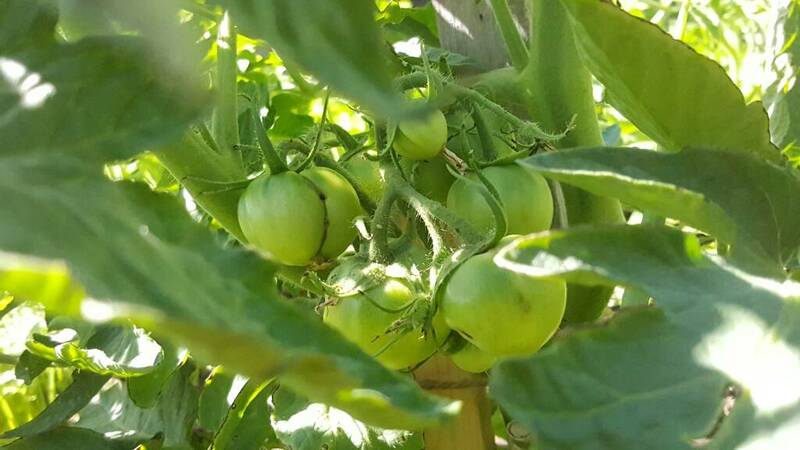 The little brown tomatoes with the golden tops are FLOURISHING, with no splitting possibly due to the thick skins and are ripening under this heat. My other plants seem to have given up and let's not talk about those fried in the greenhouse. Next year I will reintroduce the under mulch soaker hoses, but enough of the pity party. So far my golden plums are averaging 10# + per plant and still producing! !, 4oz. Per tomato on average.. The fruit needs a little salt for my taste but those little jems make a great spaghetti sauce, freeze well, great on salads and salsa dips. How are the members tomatoes growing? Is this early heat all over? It is painful to be out in the sun, it actually stings the skin, I cannot remember the stinging as a boy, any one else notice this? Good to hear that Tomatoes does not HAVE to be pruned. I have done nothing to mine. The summer in Sweden is very cold so far so I have the oposit problem to you Nige. Worrying if my tomatoes even get enough sun! The leaves protect the fruit from scourging sun.